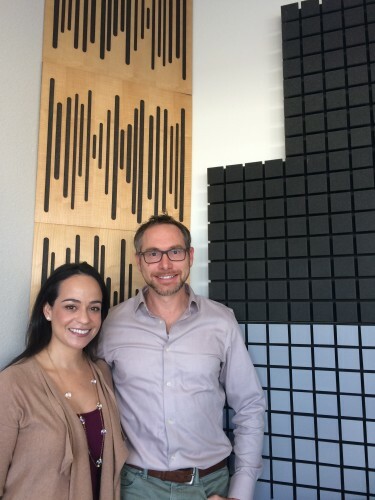 Cecilia Ballí, a journalist and cultural anthropologist, is the first-ever live interview in the new headquarters for Marfa Public Radio at 106 E. San Antonio. A keen observer of borderland culture, she is here in Marfa, Texas, on a Lannan Foundation residency. Ballí has published long-form narrative journalism for 15 years, as a writer-at-large for Texas Monthly and a freelance contributor to Harper’s Magazine. She holds a Ph.D. in Anthropology and taught on the UT Anthropology faculty for six years. Her work has been anthologized, and she is working on a book on the border fence. She was awarded a 2015 Jesse H. Jones Dobie Paisano Writing Fellowship. This entry was posted in and tagged Border Issues, Border Security, Borderlandes, Immigration, Lannan Foundation, South Texas, talk at ten, Texas Monthly, US-Mexico Border. Bookmark the permalink.